Record low interest rates are driving demand in Melbourne’s north as buyers camped out for the latest land release at the Merrifield estate in Mickleham over launch weekend, with over 82 percent of land released sold. 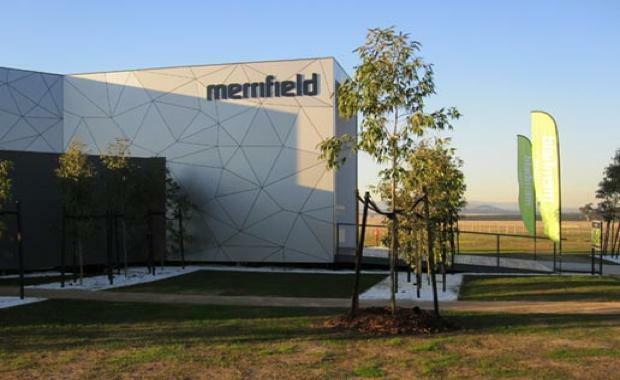 Pegged as the new city of Melbourne’s north, Merrifield is Victoria’s largest fully master-planned, mixed-use community and will bring over 5,000 new homes, a 110-hectare waterfront city centre, a 300-hectare business park creating up to 20,000 new jobs, lifelong learning and stunning regional parklands to the northern suburbs. Developers MAB Corporation and Gibson Property Corporation received an overwhelming response to the grand opening of the Merrifield Display Village, with more than 1,000 people swarming in to discover Merrifield and get the first look at the latest display homes. Merrifield Project Director Matthew Planner said they were thrilled at the level of buyer interest at the Merrifield Display Village. “For instance, we also spoke to a number of young couples looking to start a family, as well as families wanting to upgrade to an affordable and convenient location, whilst taking advantage of such positive borrowing conditions,” he said. Located along Donnybrook Road and bordered by the Hume Freeway and Mickleham Road, the 770-hectare project will be a city in its own right, approximately 4 times the size of Melbourne’s CBD. “The opportunity to live, study, work, shop and socialise in a modern, master planned city only 30 kilometres from the Melbourne CBD strongly resonates with our buyers,” he said. “Our buyers have everything they could possibly need on their doorstep - and the perfect surroundings to raise a family. “We believe Merrifield will be a key driver for transforming the face of Melbourne’s north to a bustling, vibrant city with a thriving economy and strong sense of community,” he continued. The community’s neighbourhood precinct also features a multi-million dollar landscape entry, including a sculptural piece by renowned Melbourne public artist Alexander Knox. Construction at Merrifield is steaming ahead, with works on a $1.3 million neighbourhood park already completed in time for the first residents. Development within the business precinct is scheduled to commence later this year, whilst Stage 1 of the regional shopping centre within the Merrifield City Centre is expected to be developed as early as 2019.